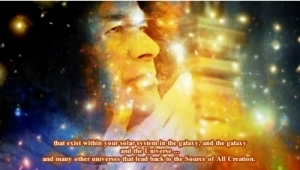 Valerie: With Great Love in our Heart we are calling upon Cosmic Sai Baba to make His presence among us. Valerie: Archangel Mikael wants to come through today – the same as He wants to come through when Valerie gives her presentation at the Byron Bay Convention Centre On 16th January, 2017 – in New South Wales, Australia. Those present were warned that Archangel Mikael is very loud. I come today to ANNOUNCE THAT I WOULD ALSO LIKE TO ATTEND the Conference that Valerie is to attend and this is a rehearsal. I would like Valerie to ask how you feel about this? And is it of acceptance to others? All the people present were shaken up with Archangel Mikael’s visit. They all agreed his intended visit to speak at the Close Encounter talk at Byron Bay would be accepted by the audience – but I needed to ask them first if they agreed to his visit. Before the Transmission we had a beautiful meditation when a calm/loving energy seem to descend around us that took us into a deep, completely relaxing state of being. When we came out of that ‘state’ no one wanted to speak – but just sat still – smiling at each other in complete harmony – with no desire to say anything for some time. After Archangel Mikael’s brief but loud visit – everyone still did not want to speak for some time. When I advised that Cosmic Sai Baba was asking telepathically if they thought Archangel Mikael’s presence would be welcome at the Close Encounter talk at Byron Bay on the 16th January, 2017 they all agreed. They then began talking and sharing their personal experiences while the Archangel visited – after a while talk began about conspiracies and I was observing with some concern how the energy in the room completely fell apart. It was like shards of glass breaking and falling to the ground shattering the beautiful energy that had been present with us all. Some of the people visibly changed and seem to gain witch-like pleasure in being able to share some of their knowledge about conspiracy stories. I was prompted to stop this ‘conspiracy talk’ and say “I know this (conspiracy) exists – and some of the stories may be true or they maybe false; but I know that speaking about them only gives energy to the stories and helps to create even more negativity. What is happening right now in front of us is an example of how easily “Beautiful Calm – peaceful energy – can change into divisive – disruptive and hurtful energy”. So my request right now is to ask everyone to be very careful in what they allow themselves to DWELL UPON for it is possible to assist our world to become peaceful. EVERYTHING IS ENERGY … … including words and thoughts and talk. If you are interested to read more about the Close Encounters Conference Valerie will be attending and speaking at, see here.